Orbital built the IndoStar-1 or Cakrawarta 1 satellite for Media Citra Indovision to deliver the first direct-to-home (DTH) satellite television to Indonesia, the world's fourth most populous county. IndoStar-1 is the world's first commercial communications satellite to use S-band frequencies, which efficiently penetrate the atmosphere and provide high-quality transmissions to small-diameter antennas in regions that experience heavy rainfall such as Indonesia. Similar performance is not economically feasible with comparable Ku- or C-band DTH satellite systems since more power is required in these bands to penetrate the moist atmosphere. Due to a failed power regulator, two of the satellite's five transponders cannot be used whenever the satellite is eclipsed by the Earth. During these periods, only 80 percent of the required power are available. 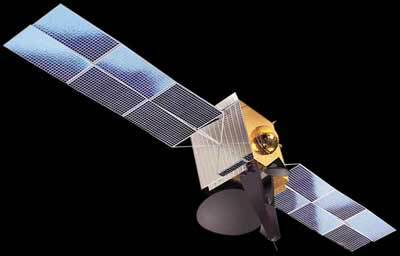 The life span of the satellite might be reduced to seven years from a planned 14 years. Insurers paid US$25 million in damages.